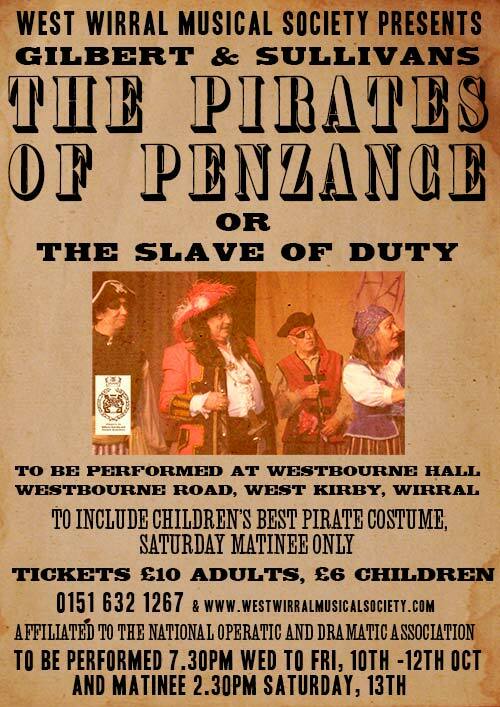 The Pirates of Penzance or The Slave of Duty is a wonderful comic opera and one of Gilbert and Sullivans most well known works. The story concerns Frederic, who, having completed his 21st year, is released from his apprenticeship to a band of tender-hearted pirates. He meets Mabel, the daughter of Major-General Stanley, and the two young people fall instantly in love. Frederic soon learns, however, that he was born on the 29th of February, and so, technically, he has a birthday only once each leap year. His indenture specifies that he remain apprenticed to the pirates until his “twenty-first birthday”, meaning that he must serve for another 63 years. .3Bound by his own sense of duty, Frederic’s only solace is that Mabel agrees to wait for him faithfully.